Do you ever feel like you put yourself in a box of only reading a certain type of book? 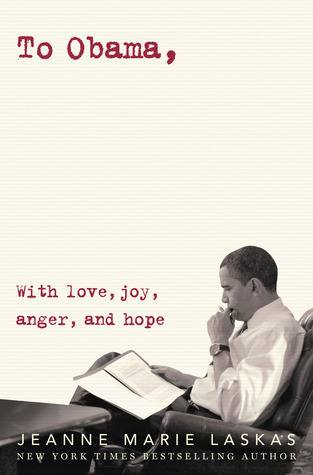 Or maybe the books you choose to read are from authors you know, hardly visiting words written by strangers? I know quite a few readers who only read Young Adult, or only read Adult. Whatever that box may be, maybe you placed yourself inside it on purpose, or like me, maybe you've formed this box unknowingly. Regardless the box is there. I'm here today to tell you that I am venturing outside my reading zone. Somewhere along the way I got in the habit of only wanting to read contemporary fiction. It could be about a teenager, or a story written about adults. I simply just craved those realistic fiction stories, wanting nothing to do with any other genre. But why is this? Am I only a contemporary fiction reader? Goodness, no. Yet I found myself inside this box, quite comfy actually, flooding my mind with contemporary stories. People associate myself, and my blog, with contemporary fiction -- something I am definitely in agreement on. It IS my most favorite reading palette. However, it's not my ONLY reading choice. After compiling my list for this past Tuesday's Top Ten Popular Authors I Have Never Read, it became blatantly clear that I have been missing out on some really great stories while staying in the confines of this box. Guess what? I AM VENTURING OUTSIDE THIS READING ZONE. As a future teacher, I want need to have a well-rounded library for my students to visit. I want to be able to recommend more fantasy novels, or more stories about spies and mysteries. I won't have those rec's unless I venture outside and experience them for myself. Only a few chapters in, but it's already consuming me! I love that feeling when you start a new book. So tell me, have you found yourself inside a certain reading zone with the books you choose? Have you had any experience with stepping outside that zone and discovering a new-to-you book/author that you may have been reluctant to try before? Please share in the comments! I don't like to admit it, but I definitely have myself in a box. Mostly I read YA and don't venture out to Adult titles. This is not to say I don't ever want to or am actively avoiding it... I'm just not actively pursuing it. I find a lot of adult books (and topics in general) so BORING. I'm more stimulated by YA books and I think that's why I stay in that section. I totally understand about putting yourself in a box and not realizing it. I hope your adventure back into other genres goes well. :D P.S. I totally recommend Cinder and Shadow & Bone--in case you were looking for something to read. This was so me last year! I realized I wasn't giving some books a chance because I deemed that I didn't like fantasy or sci-fi. After the millionth person mentioned Graceling to me I decided to push myself and read one book a month that I would never normally pick up. It was fun finding other books and trying things out of my comfort. Because of this I ended up reading the whole Graceling series and loving it. I''ve noticed I read a lot of Urban Fantasy/Paranormal Style books and a little less Contemporary, but they are the biggest genre's I read, and always young adult; I say always, I do read some adults, but rarely, and mainly contemporaries, but I do reach out and touch Dystopians and Horror too, although they are rare. I actually started to like Horror because of Kendare Blake, and found I like ghost ones best, so there's a revelation! :D Great topic Ginger! I know what you mean! I can't say that I'm in a very specifc box when it comes to what I read. I do read a wide variety of genres, and I love books for preschoolers, grade school, high school, and adult books. But the genres that I don't read, I never read! Like dystopians, for example. I just cannot read them. I've tried. But I also thought I couldn't get into science fiction. Then came The Lunar Chronicles! I love that series. Don't get me wrong, I am not rushing out to read all science fiction, but because I love that series so much, I read another science fiction book, and actually really liked it. So YAY for trying new genres! Also, as for being a teacher, and being able to recommend books to kids with wide interests. I'm a librarian, and it's actually surprisingly easy to recommend books even if you haven't read them. I mean, I do think it's always more effective if you've read the book, because your excitement for it will really come through. But if you just have a general knowledge of the book, you can still totally book talk that book! I liked Graceling but I loved LOVED Fire by Kristin Cashore!! Definitely give that a try! Love this book - glad you're enjoying it so far! I think I've read at least one book in most genres but I still tend to stick mainly to contemporary. I do try to read other things and experiment but it's hard because I always have to come back to contemporary. I've had Graceling lying on my bookshelf for a while so I'm curious to see what you think of it! I might pick it up soon as well! Yay for you. For starters, I didn't know you were a teacher, that's really great. Secondly, yes, I have a problem climbing out of my reading box. Occasionally, I force myself and guess what I'm always pleasantly surprised. Good luck to you! I do stay in the same genre, so I really do try to go outside the box more! That being said, I'm not opposed to adult titles, I just don't seek them out. If I see enough people recommending one though, like The Night Circus, for example, I'll definitely give it a go! I listened to Graceling on audio book a year ago and really liked it. I still need to read Fire and Bitterblue. Stepping outside your reading zone is the best. I started reading historical romance and I love it now. Yes I totally get myself in a little box! I mean, I WILL read outside of it but contemporary YA is always my main thang. Honestly starting my "Courting Genres" series was the best thing I ever did for myself because I would have just kept pushing some of these genres (like adult romance!) away but now I'm MAKING myself step out. It's been great! I'm glad you're venturing out of your comfort zone, I think that's good for all of us, but especially teachers, it would be sad for kids to think you didn't like their favorite genre or feel like they shouldn't try new things (not that you would ever make them feel bad about their preferences, but young minds are so fragile and all of that). I often find that I end up really liking books outside of my comfort zone, I don't know if it's because they surprise me more or because I go in with lower expectations or because I'm reading the wrong genre, but I'm usually really happy I stepped out of my normal box. I love this post and can definitely relate to it as a book blogger and as a reader in general. I've always been attracted to fantasies, and, while blogging has helped me appreciate other genres, at the same time I feel as though my blog is more well-known for fantasies. Personal expectations and outside expectations can both be difficult to combat at times. But I do think the support of the blogging community is a great asset to helping us venture into new genres and reading experiences. It's definitely something I want to work on more myself. 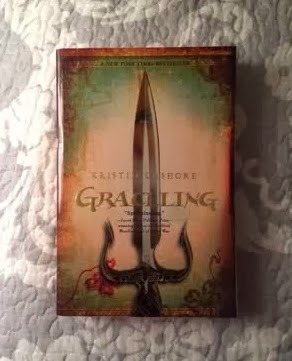 And, by the way, Graceling is an excellent choice for trying out more YA fantasy. I hope you end up loving it! I think it is so important to try and venture out into different genres of books, because even though it's terrifying going out of your normal reading zone, you can actually discover some truly amazing books and then fall in love with a whole new genre! Still happy dancing about this! I totally know how this goes! I am always picking up books I might not have read three years ago because I want to be able to recommend stuff from different genres to kids. Sometimes I end up reading something that I'm not in love with or that I wouldn't normally pick up, but I always feel okay about it because it's another book I know more about and can talk to my library patrons about. Of course, sometimes something outside of my comfort zone ends up being awesome and makes me want to read more of a particular genre. Great post, G! I decided a few weeks ago to do this as well. I've been stuck in my comfort zone of only reading YA Contemporary and now I really am going to try other things. Like Cinder. And The Hunger Games! It's hard to go out of it though because there are SO many good contemporary books on my TBR that I feel like I NEED to get to... and throwing in something that's out of my zone feels like I'm wronging those books or something. But I want to do it so that I can be more of a well rounded YA-er! !